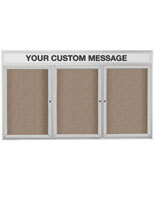 Cork boards, for example an enclosed tack board, or aluminum announcement board, are fabricated tough for lastingness. 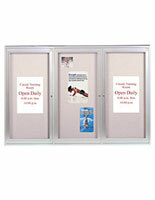 The cork boards have shatter–resistant, acrylic window panes on each door to preclude damage to your documents. 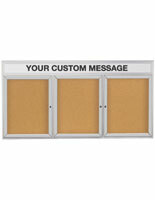 These discussion boards, cork boards can also keep your postings secure caused by the lock on each door. The surface of the cork boards is produced from a self-healing, natural cork that will survive for years because of its resilience. This surface is set back in the frame; this shallow depth creates a characteristic that further enhances the display, as larger posts can be located inside each panel. 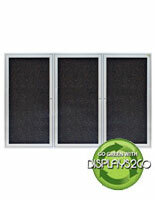 These cork boards are a valued purchase at an economical price. Four corner mounting holes are located on the rear of the display for wall mounting. Please Note: We do not supply the corkboards with the essential wall anchors or screws. For indoor use only. 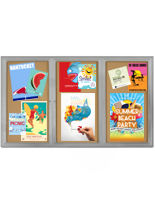 Many of our wall-mounted cork boards, acrylic-pane lobby directories and other cork boards are fabricated from satin aluminum. 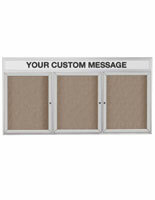 Known as a result, these cork boards are perfect cork boards one would want to use in any setting. 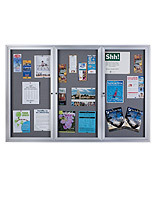 These lobby directories, cork boards are discovered in banks, hospitals, universities, business offices additionally to other community centers. 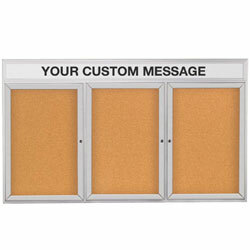 These cork boards supply an perfect method to direct people where they are going in lobbies, hallways, and likewise building foyers.